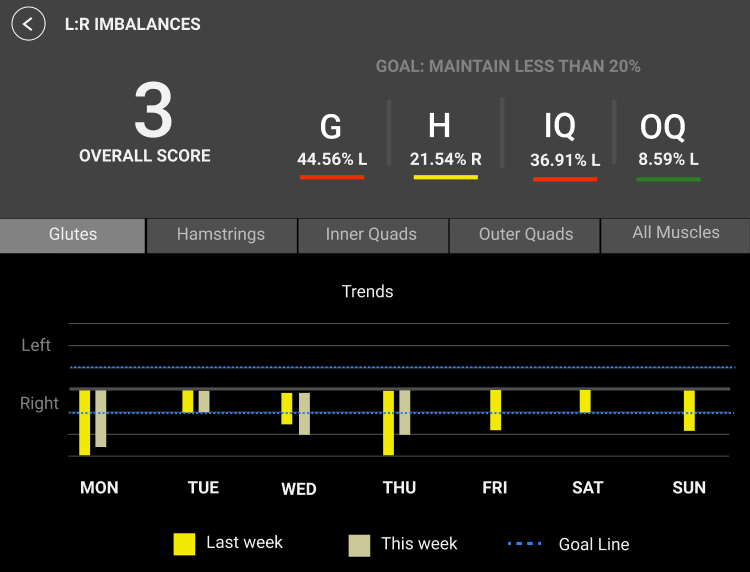 Over the last few months, we have added detail and trends to the Athos metrics provided for your team and athletes. Today, we are pleased to announce that we have improved the type of information that the Imbalance and Contribution Glances provide. 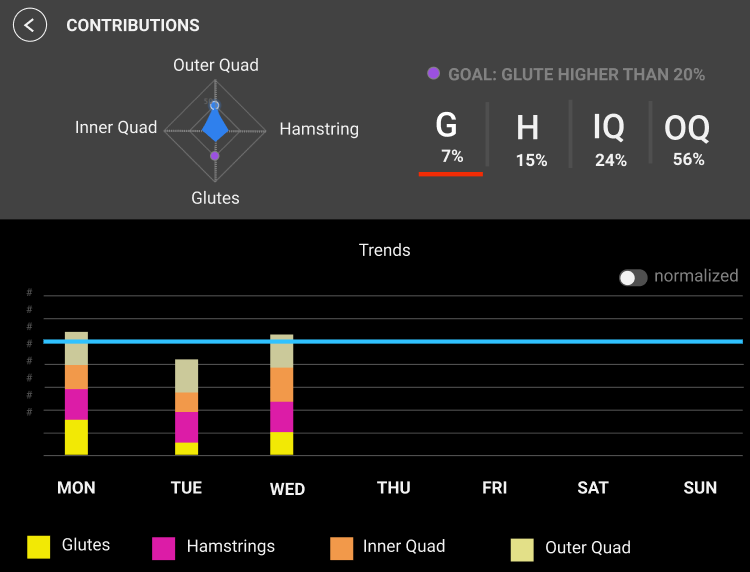 Now we have added context to the Imbalance Glance so that when there is a flag you can tell which muscle(s) are contributing to that flag. Similarly, we have updated the Contribution Glance. These updates are in service of providing you with a richer and more efficient presentation of information so that you can quickly get the insights you need to take action.